Cool temps don’t faze real golfers. If anything, the courses are less crowded and good deals are to be found. Take Kingsmill Resort in Williamsburg, Virginia where the LPGA plays each May. As the leaves fall, so do the prices, and back by popular demand is the Best Golf Package Ever ($139/person for one round of golf, AAA Four Diamond accommodations and breakfast overlooking the historic James River). Available Sunday–Thursday only. Rate starting at $139/person based on double occupancy. Some restrictions apply; Based on availability. Please call upon booking to schedule tee time to ensure preferred time. Available through March 15, 2018. Kingsmill Resort is an AAA Four Diamond condo resort. Located on the James River off I-64 between Richmond and Norfolk the property is within minutes from Williamsburg’s numerous destinations including Busch Gardens, Colonial Williamsburg, The College of William & Mary, Jamestown Settlement and Yorktown Victory Center. (HILTON HEAD, S.C.) – Hilton Head Golf Island (HHGI) – ranked the top island in the U.S. by Condé Nast Traveler – offers golf lovers an ideal respite from the cold. Featuring more than 30 member courses on Hilton Head and in the surrounding area, HHGI is known for its unique combination of Southern hospitality, temperate climate and world-class public and private designs sculpted by vaunted architects. A variety of winter stay-and-play packages further entice golf enthusiasts to visit as the temperature plummets up north. The Sea Pines Resort’s “Villa Golf Package” features a round on each of the property’s three championship courses plus accommodations in a private, fully-equipped villa. Starting at $218 (based on quadruple occupancy), it is an ideal way to experience Harbour Town Golf Links, Heron Point by Pete Dye and Atlantic Dunes by Davis Love III. Available through February, this four-day, three-night getaway also includes complimentary replays on Heron Point and Atlantic Dunes. For reservations call 843.842.8484. Available through March, The Heritage Golf Collection’s “Golfer’s Dream Package” is perfect for those who want a variety of courses from which to choose. The deal combines three nights’ accommodations in a spectacular villa with three rounds on any of The Heritage Golf Collection’s five Hilton Head layouts. Starting at $105 (based on quadruple occupancy), additional perks include complimentary range balls prior to rounds, a 20% discount on pro shop merchandise and 10% dining discount at local restaurants. For reservations call 843.681.1706. Palmetto Dunes Oceanfront Resort’s “Birdies and Beer Package” offers three nights’ accommodations in a two-bedroom resort-view villa, three rounds of golf on your choice of a trio of championship courses with cart, complimentary range balls plus breakfast and beers. Two hours of court time per day at the Palmetto Dunes Tennis Center, pro shop and dining discounts and priority access to all resort activities and amenities are also included. Rates start at $160 (based on four-person occupancy) through February. For reservations call855.450.4861. Starting at $125 (based on double occupancy and six or more golfers), Fripp Island’s stay and play packageincludes nightly accommodations and 18 holes at Ocean Creek Golf Course with complimentary cart, range balls and afternoon replays. A great way to experience St. Helena Island – just north of Hilton Head – this package is available through December. For reservations call 843.838.1558. Offering unbeatable value, courses for players of all abilities and pleasant year-round weather, Hilton Head Island is one of the world’s premier golf destinations. In addition to being named the “No. 1 Island in the Continental U.S.” by Travel + Leisure magazine readers, Hilton Head has also received accolades from Golfweek, Golf Channel’s Golf Advisor and the South Carolina Golf Course Rating Panel. All packages are priced per person, per night. For more information on the International Association of Golf Tour Operators’ 2016 North American “Golf Destination of the Year,” call 800.523.3373 or visitwww.hiltonheadgolfisland.org. Hilton Head Golf Island features more than 30 member courses on Hilton Head and Fripp Islands, as well as Bluffton, Beaufort and Jasper counties. Golf enthusiasts can enjoy Hilton Head’s Southern hospitality and world-class public and private designs sculpted by vaunted architects Pete Dye, Jack Nicklaus and Robert Trent Jones. Getting to “Golf Island” is easier than ever from East Coast and Midwest population centers. JetBlue Airwaysoperates non-stop flights from Boston (BOS) and New York City (LGA / JFK) to Savannah / Hilton Head International Airport (SAV). Allegiant Air also flies non-stop from Indianapolis (IND), Cincinnati (CVG), Baltimore (BWI) and Pittsburgh (PIT), among others cities. Fourteen other locales offer non-stop service to SAV including Chicago, Detroit, Dallas/Fort Worth, Houston, Philadelphia and Washington D.C.
Its territory encompasses many of the great golf courses and resorts of North America and is ranked top 10 in seven categories by Golf Digest including “Best Buddies Trip Destination,” “Best Accommodations,” “Best Couples Trip,” “Best Courses,” “Best Food and Drink,” “Best Weather” and “Best Value.” Home to the world-renowned Sea Pines Resort, the PGA TOUR makes its only South Carolina stop each April at Harbour Town Golf Links for the RBC Heritage Presented by Boeing. 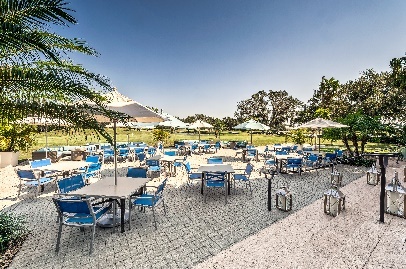 Naples, Fla. – October 18, 2017 – Coral Hospitality (www.CoralHospitality.com), a full-service hospitality management company, today announced the completion of the second phase of its improvement project at Rosedale Golf & Country Club in Bradenton, Florida. Updates made during this recent phase, which represented a $750,000 investment, include a full interior renovation and design enhancements at the 22,000-square-foot clubhouse including the lobby, restaurant, bar, community room and pro shop. More than 500 members were invited to experience the new design, which exemplifies a contemporary coastal style, during a ribbon-cutting celebration on September 30. The newly refreshed clubhouse inspires casual elegance with a contemporary coastal style. The fresh, timeless design seamlessly incorporates beautiful, natural elements that bridge the gap between the Club’s impressive indoor and outdoor spaces. Guests will delight in a grand entrance experience at the main lobby – with striking white stone walls, sleek floor and wall coverings, fresh new art, welcoming furniture, lustrous lighting and more. A few more exciting changes include the addition of a new 100-inch-wide, wall-hung fireplace in the bar, which is complemented by a matching 60” wall-hung fireplace in the main dining room. A 72” round contemporary crystal chandelier adds a bit of glamour to the space and illuminates the Club’s newly added, custom-designed carpet featuring a floral motif, and new tables, chairs and tableware. Rosedale Golf & Country Club features a par 72 course with a 22,000 square-foot clubhouse with bistro patio for entertainment and enjoyment. A three-time recipient of the Bradenton Herald’s People’s Choice Awards, Rosedale also features a Junior Olympic-sized swimming pool, five lighted Har-Tru tennis courts, a well-appointed fitness center, and an array of exceptional activities. This second phase of renovations at Rosedale Golf & Country Club represent part of an overall $1.5 million investment at the property since CH6 Rosedale acquired it in October 2015. Coral and its equity partners have launched an aggressive golf growth strategy, committing $150 million and targeting South Florida-based courses and clubs between Tampa and Naples. For additional information about Coral Hospitality, visit www.CoralHospitality.com or call 239-449-1800. Stay up-to-date on the latest Coral Hospitality news by following @coral_hosp on Twitter or by visiting our Facebook page. Founded in 1988, Coral Hospitality is a full-service hospitality management and investment company with three distinctive divisions – Coral Hotels & Resorts, Coral Golf & Country Clubs and Coral Residences & Associations. A market leader that delivers unparalleled service and generates exceptional financial results for clients and investors, Coral takes a unique, full-service approach to the management of its portfolio of hotels, resorts, golf clubs, residences and spas. As a result, Coral isconsistently ranked in Top 5 in REVPAR growth among independent management companies. Coral Hospitality…leveraging powerful, world-class partnerships to create experiences that innovate and inspire.